From an unarmed combat perspective, it is MUCH easier to defend than to attack. Think about it: an attacker has to move himself into range and commit to attacking with a specific limb, while a defender has a whole gamut of options and responses. Because of that, it is easy to spend more time learning all the various responses we can use in defence. They are much more interesting. We also get the feel-good, self-righteous sense of using our skills for self-defence. That takes away, for most of us at least, the uncertainty of wondering whether we are justified in using our martial abilities to inflict harm on other people. 2) My usual training (under the Tori-Uke methodology) means when I punch, kick or grab first I get hurt. All that negative feedback does have an effect! If my class is overall weaker at attacking than defending, that also means that in the long run our defence skill also drops, because we train only against attacks made with less and less skill. So in order to keep that from happening, and to make myself a more complete martial artist, I have been working on my attacks as well. 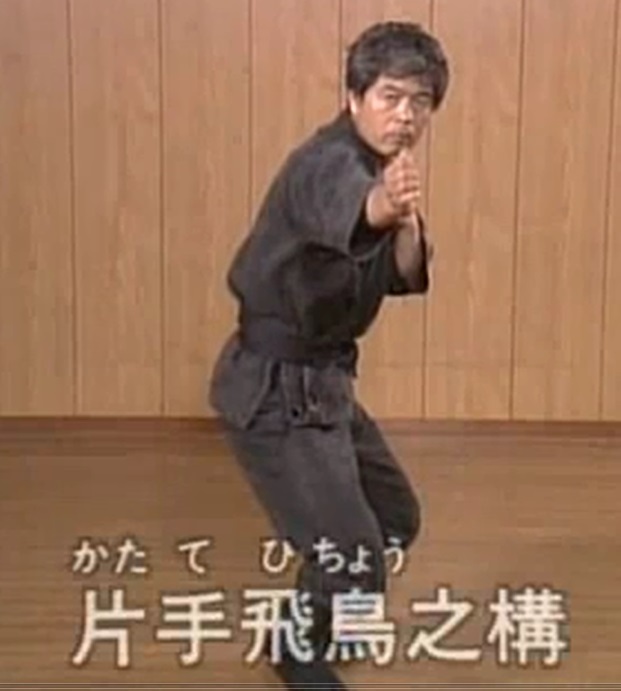 Here is a basic one from Gyokko Ryu that I have been working on: Step forward with the O-tsuki (lunge punch), pull the back leg in next to the front leg, then kick with the front leg. You can see the Uke in the following vid attacking in that way. 1) At the end of the punch your front knee should be loaded up properly. Your weight should be on that knee, and the stored energy should be pushing you upward, not back. If it pushes you back that means you have taken either too big a step or your rear knee is too bent and you haven’t shifted your weight forward to the front leg as you punched. This means a weak punch, with only arm power at best. It can get worse: imagine your arm punching forward but your leg pushing you back. That is going to reduce the force of your punch even more, right? 2) When you pull the back leg next to the front, keep your hips level during the movement. This makes you pulling in the back leg more difficult for your opponent to notice that you have changed your stance. When you get the hang of this subtlety , you can use this in two ways: either you punch at your opponent at the proper range, then you use your front kick to hit him when he moves back slightly, thinking he is out of range of your next punch, OR you deliberately punch to just outside of his punching range but within your kicking range. So just when your opponent thinks he is safe because your punch fell short, you stomp him with your sokuyaku geri. Or he might just react to your punch, but because you are out of range he has to work harder to attack you, but you have already closed a lot of distance and confused his timing somewhat. 3) When you pull your back leg in, make sure your knees are still bent. They should feel like loaded springs. Consider this: in this kamae, you have just punched with your front hand, but your rear hand and BOTH your legs are ready to attack. Your front leg can of course kick to the front, and so can your back leg, if you step forward. But the more important thing is the back leg is able to kick to the 45 degree angle. Why is that important? Because most of the time in my class we train against a direct frontal attack. What if we meet someone who fights like us, who moves offline before countering? We punch, the opponent moves offline and blocks. We pull the back leg in, then kick that leg at the opponent. You don’t have to hit him in order to stop him; sometimes all it takes is us suddenly chambering the kick will cause him to hesitate in his attack. And that moment of hesitation will give us enough time to launch another punch, kick or some other move. When all these fell into place in my mind, I realized that just getting proficient in a basic fudoken and sokuyaku geri will take a serious amount of effort. There are 24 combinations we can drill, and I have been trying to distil those combos to remove excessive repetition. But even more important than the physical skill, the actual muscle memory, is the awareness of all this potential in the first place. Then we can learn to seize such opportunities when they arise. Conclusion – Simple stuff? Yes. But I’ve always believed that being faithful with the simple stuff will eventually allow me to learn even more. And that seems to work well enough for me!